He’s one of the best the broadcast booth has ever seen. 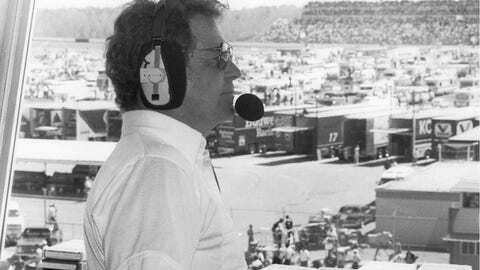 Hall of fame announcer Barney Hall – the legendary voice of the Motor Racing Network – has been calling NASCAR races for more than 50 years. And he recently sat down with NASCAR Race Hub’s Adam Alexander at his Akin, N.C. home. Hall discusses how he got started in the sport, why he never moved into television, and reflects on the worst call he ever made. It’s a great interview … check it out.